THE CREW OF a ship hijacked by pirates on the Indian Ocean were rescued by Nato yesterday – after raising the alarm sending a message in a bottle. 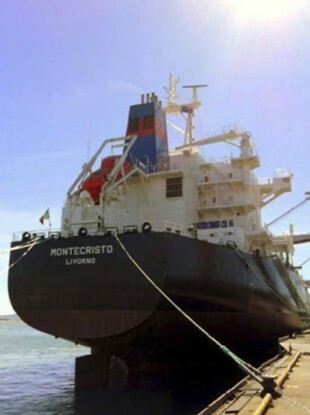 The 23-man crew of the Montecristo, an Italian carrier, was stormed by pirates on Monday off the Somali coast. The crew managed to escape to an armoured area of the ship and continue to navigate the vessel, however the pirates succeeded in cutting all lines of communication – meaning there was no way of raising the alarm, the Guardian reports. Fortunately, a Nato warship was nearby – having responded to a recent distress call from an Italian merchantman. The crew of the Montecristo tossed a message in a bottle out of a porthole, informing whoever it reached that they were out of harm’s way and it was safe to board. Nato troops intercepted the message and boarded the ship, forcing the 11 pirates on board to immediately surrender, according to the UK Ministry of Defence. The BBC reports that the pirates will be handed over to the Italian authorities. Email “Hijacked crew rescued... after sending SOS message in a bottle”. Feedback on “Hijacked crew rescued... after sending SOS message in a bottle”.